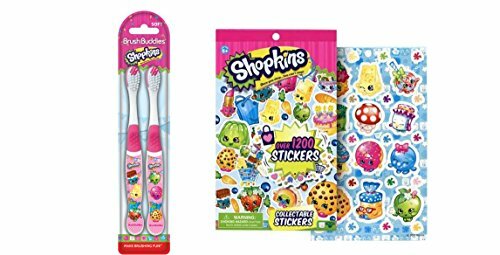 Includes 2 kid-sized Shopkins soft-bristled tooth brushes with travel caps. 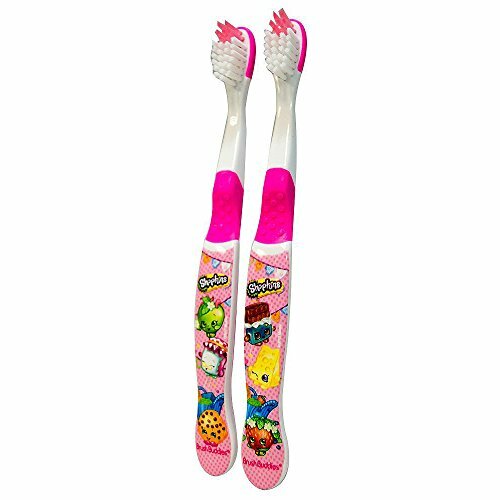 1 toothbrush, 1 toothbrush cap. 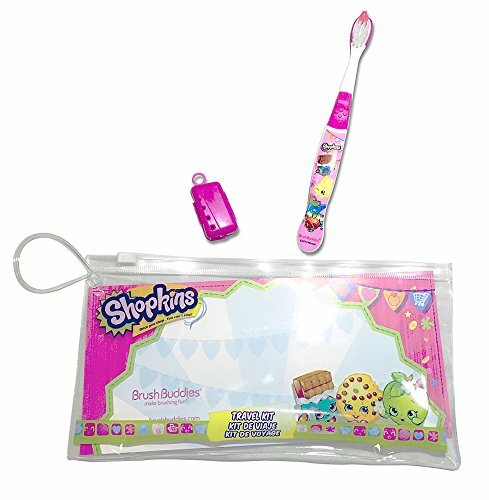 *Reusable pouch. 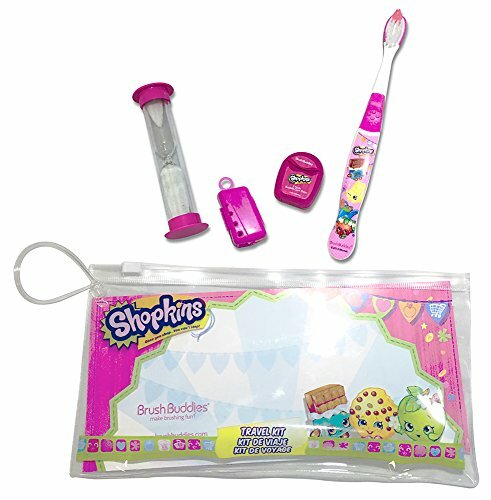 *For travel or home. 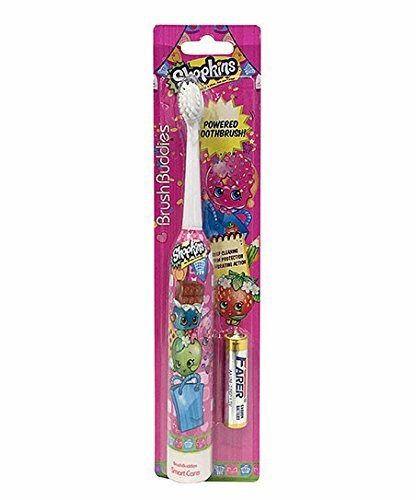 *Official Licensed Brand New Item. 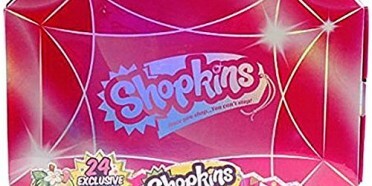 *Box has 20 count of bandages. 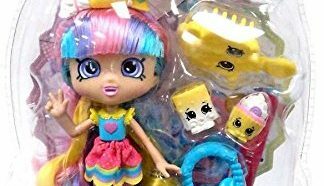 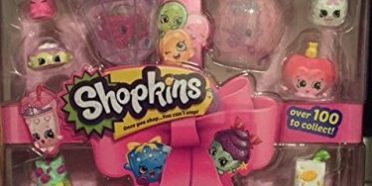 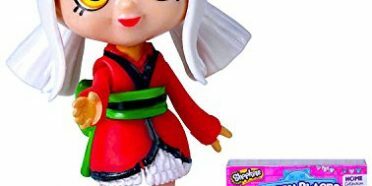 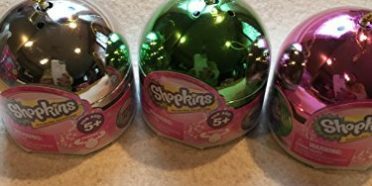 Shopkins “Smart Care” One You Shop You Just Can’t Stop Self Adhesive Bandages! 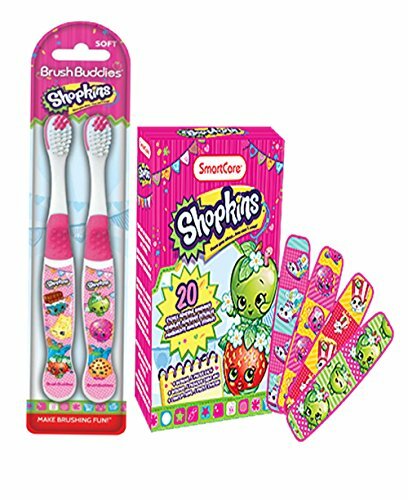 Plus Bonus Shopkins 2 Pack Manual Toothbrushes! 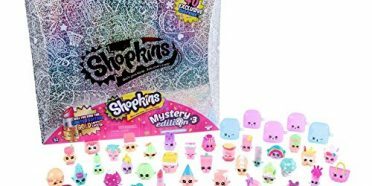 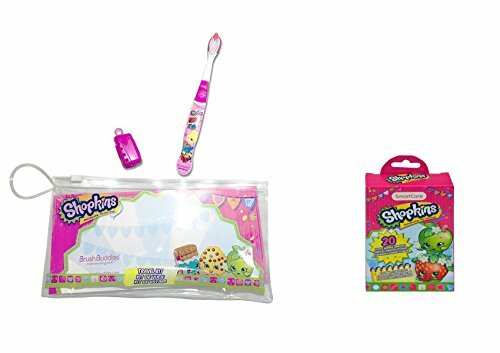 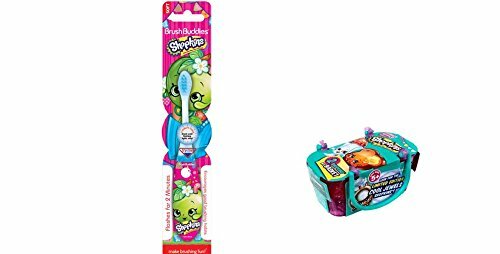 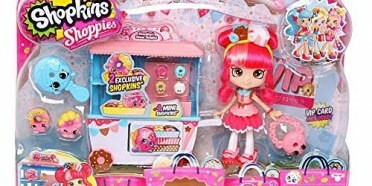 Shopkins 2 pack manual toothbrushes. 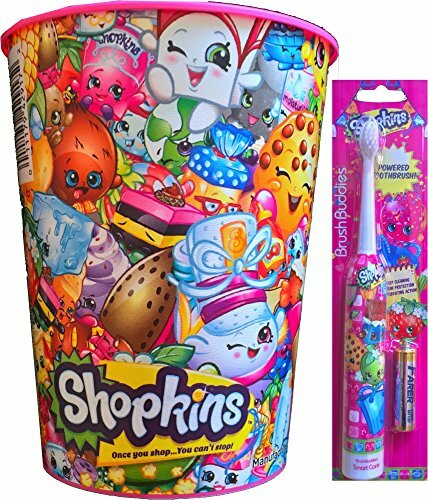 Great for kids or as a gift.